Patriots wideout Julian Edelman was recently handed a four-game suspension for violating the league's performance-enhancing drug policy. If the suspension clears appeals, it means Tom Brady will be without one of his favorite targets for the first four games of the 2018 season. Cue the "Patriots are cheaters!" cries from around the league. Never one to be beaten to the punch, Bleacher Report's Chris and Simms immediately said that Edelman is "one of those guys" players around the league think is on drugs, because he takes a massive beating as a slot receiver going across the middle, yet "seems healthier January 9th than he is September 9th." You should check out the full clip below, but the gist of his point is that Edelman's mentality as a slot receiver and his performance late into seasons have caused other players to whisper about him taking drugs. Could there be some truth to what Simms is saying? Definitely. 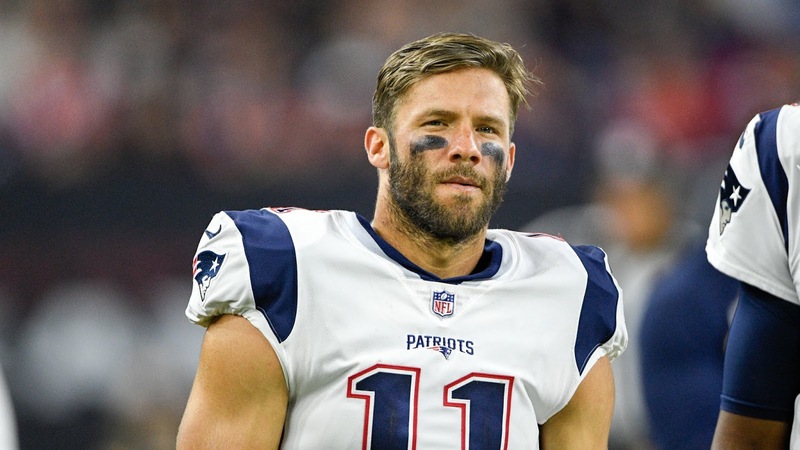 The NFL is a dog-eat-dog business, and it's not hard to imagine a seventh-round pick with a grinder mentality like Edelman taking drugs to speed up his recovery and get back to the team. But considering that this same situation played out with Richard Sherman after he tore his ACL and was busted for PEDs after recovering, I'm more inclined to think it was some sort of rehab shot that caused a false positive than anything else. We'll see.